Right now in popular culture, we’re fascinated by women who seem to have gotten away with something. Whether it’s Elizabeth Holmes fooling investors and the media, Anna Delvey claiming to be a German heiress, or Lori Loughlin’s alleged college admissions scam, we can’t stop looking at these women — and more specifically, what they are wearing. Last Wednesday, Loughlin was photographed on her way to a court appearance in Boston. The actress, famous for her role on Full House as Aunt Becky and a slew of Hallmark Channel films, took the opportunity to sign autographs for fans outside the court house. She wore a light brown statement suit with a ribbed grey shirt and a pair of leather round-toe boots, topped with a pair of smart-looking eyeglasses. The courtroom outfit has long been a subject of fascination. Historically, defendants and plaintiffs alike wear muted, pared-down pieces of clothing to appear solemn in front of the judge and jury. Few courtroom looks have garnered the type of media attention that Lori and Anna now enjoy, except for Naomi Campbell’s Azzedine Alaïa dress and Lindsay Lohan’s manicure that was a literal Eff You to the judge. What does it say about our culture, and these women, that the courtroom outfit has become akin to a red carpet moment? 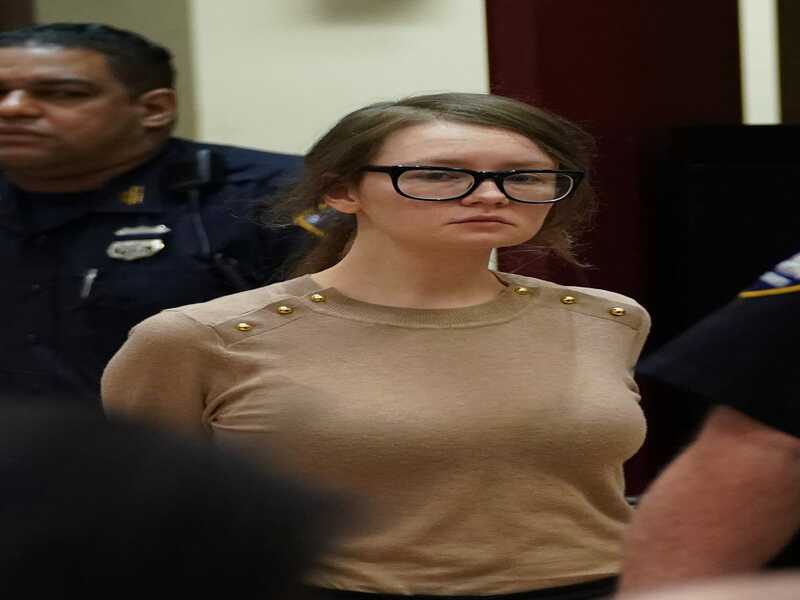 With the swarm of photographers, endless news coverage, and celebrity status afforded to defendants like Anna Delvey, it’s not surprising that people are treating court appearances like red carpet moments. It’s a way for celebrities to act as their own historians, turning every public moment into a photo opp, a headline, a chapter in their memoir, or a visual flashcard about their narrative which they want to control. By diverting attention to their clothing, they’re shifting the focus away from their (alleged) crimes and onto their exterior selves, their taste, and their access to money and luxury. Anna Delvey’s fixation on what she wears — and her refusal to show up to court because of her outfit — is blatantly disrespectful to our legal system. And perhaps if Loughlin had spent more time reading her plea deals and less on what she was wearing, she wouldn’t be facing more prison time. Already, courtroom looks are inspiring press releases and trend recaps. The question is … how far will it go? Once people start using court appearances to promote their fashion lines, for example, we’ll really be in trouble.